Heads up, Orange and Silver line passengers! As of Tuesday, Blue Line trains are now the only ones to stop at the Stadium-Armory station during rush hour -- and that could be the case for quite awhile. 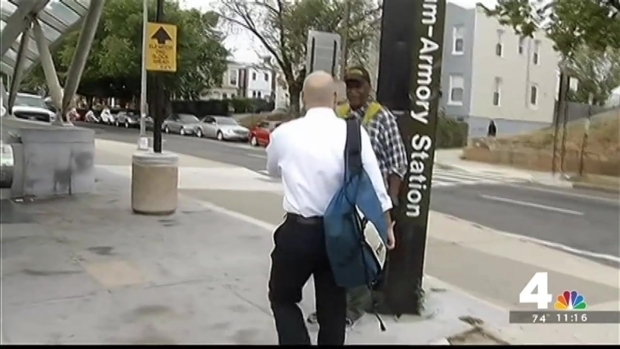 The transit agency has not provided a concrete timeline for when regular service would resume. Metro says the service adjustment is part of an effort to reduce congestion on the Orange, Silver and Blue lines after a transformer fire that left the station closed for hours last week. Heads up, Orange and Silver line passengers! Starting Tuesday, Blue Line trains will be the only ones that stop at the Stadium-Armory station during rush hour -- and that could be the case for quite awhile. 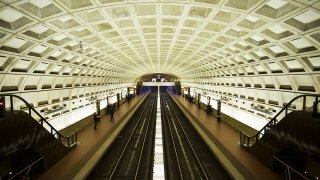 On Friday, Metro announced that trains on the Orange and Silver lines will run every eight minutes during rush hours instead of every six minutes. Metro is increasing the number of eight-car trains on the Orange and Silver lines to help provide additional capacity. Free shuttle buses will be available between the Stadium-Armory and Minnesota Avenue stations for riders on the Orange Line. Last week, smoke poured out of an above-ground Metro substation near the Stadium-Armory Metro station and burned for hours. The fire knocked offline a nine-megawatt power substation that allows trains to run via the third rail. Metro says it has been feeding power to the area using smaller substations that are farther away and already at their output capacity. Metro is working to rebuild the damaged substation, but said it will likely take more than six months. Metro has reduced train speeds and limited the number of trains passing through the area to avoid overloading the system.